In the 1970s poster magazines were big in the UK. Physically as well as in sales. 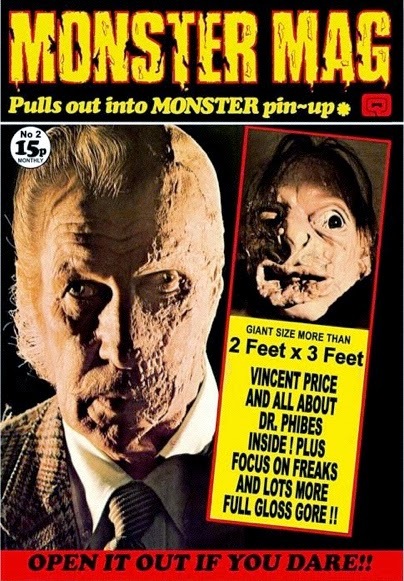 One of the most popular was Monster Mag, with details of a horror movie on one side and a huge 2 foot by 3 foot poster on the reverse. Bearing in mind that, at the time, film mags such as Famous Monsters were in black and white, Monster Mag was spectacular as it was entirely in glossy full colour. Admittedly the content was slim, but the poster was the selling point. Issue 2 of Monster Mag was banned and destroyed in the UK by HM Customs and Excise for its horrific content. 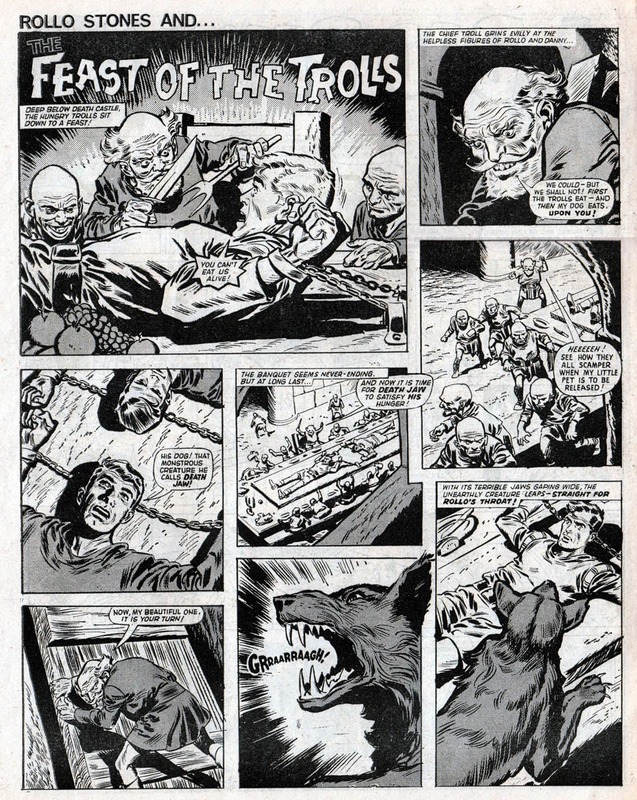 However, Dez Skinn (who was editor of the second series of Monster Mag) has now republished that long lost issue! 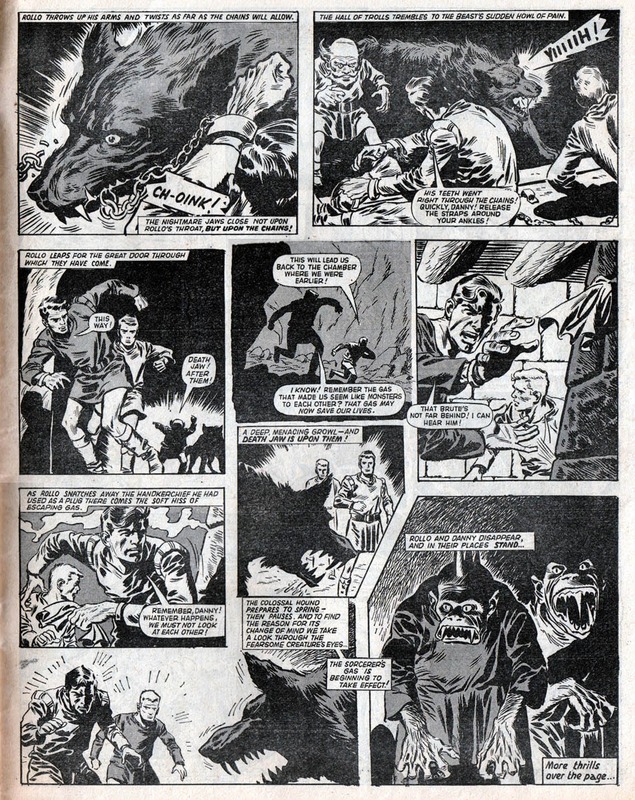 Believe it or not, the long-lost 1973 second issue of MONSTER MAG is finally available in English, 41 years late! 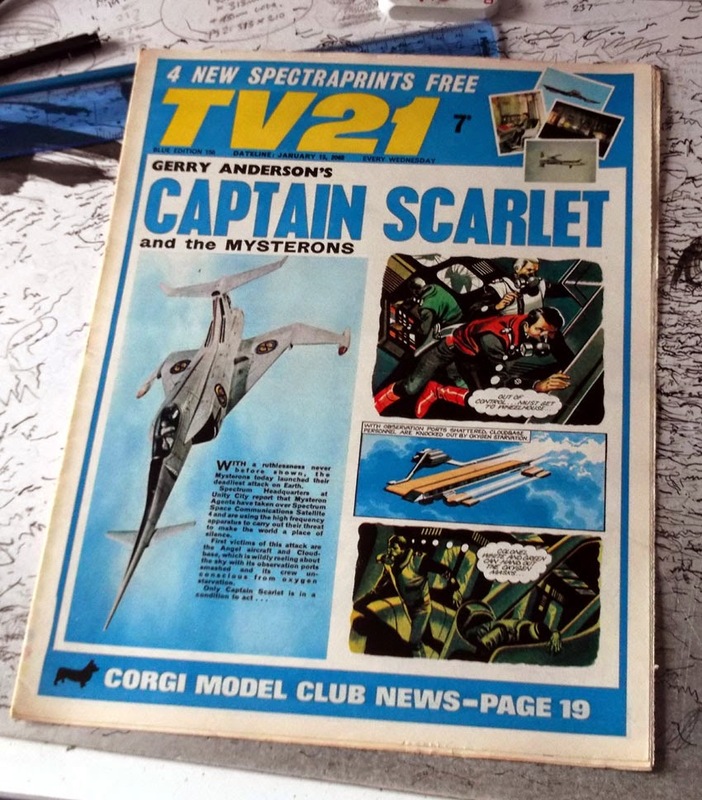 Deemed unsuitable for an all-age market, the entire print run to the English language MM #2 was destroyed by HM Customs & Excise back in 1973, leaving an annoying gap for collectors who have snapped up the German and French editions for as much as £1000 each, just to fill their gaps! 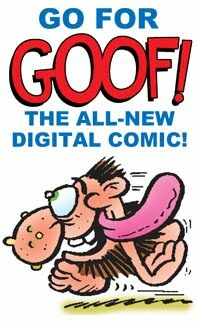 Now, finally, series creator Roger Noel Cook and relaunch editor Dez Skinn have come together to produce an authentic limited edition full-size reproduction of this absurdly rare item. Identical to the real destroyed thing except for the Quality company symbol replacing the original Warner Bros symbol on the cover and a reference to the digital remastering in the editorial block (to avoid any naughty passing off) it is now finally available. Stocks are limited, but you can order your copy from Dez by clicking HERE. 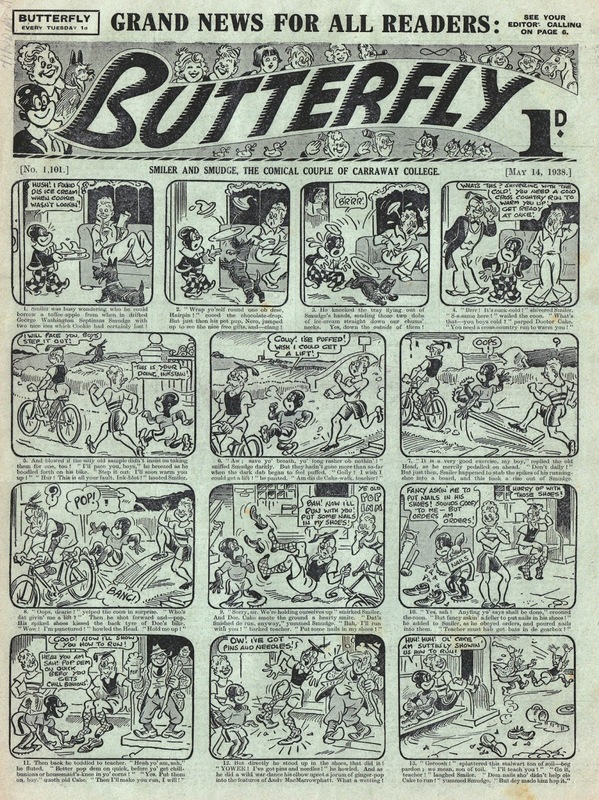 From the early 1960s up to a few years ago, the 'Summer Special' of a comic was always something to look forward to. 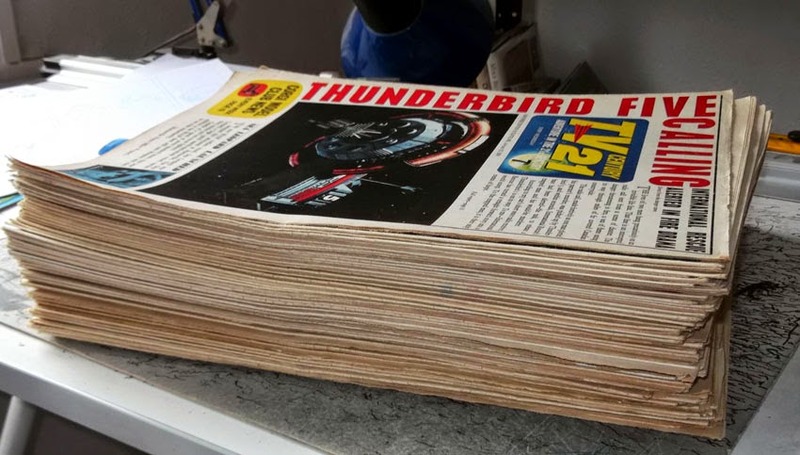 They gradually faded away due to reader disinterest and, it's said, reluctance of retailers to have one issue taking up shelf space for three or four months. 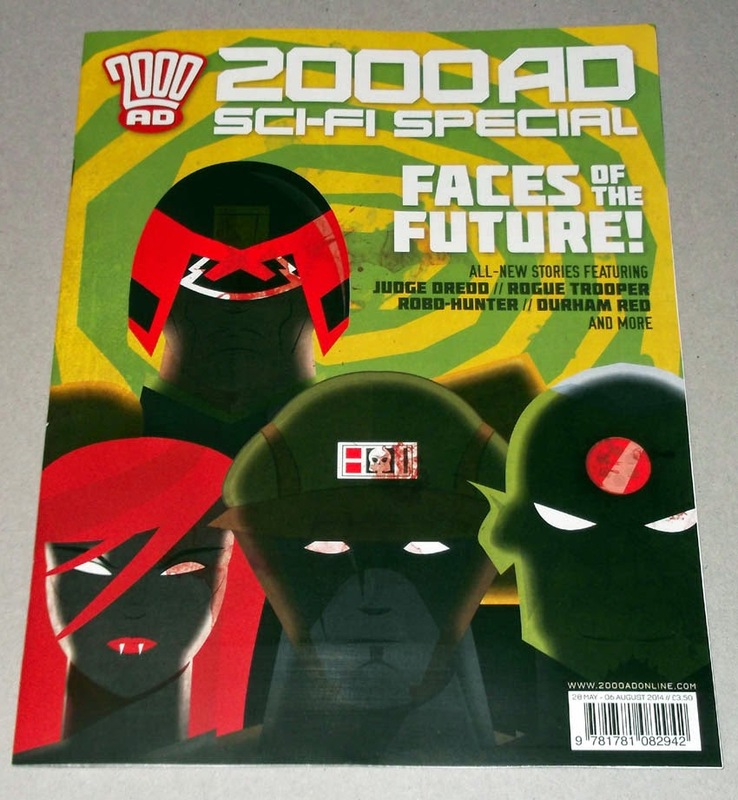 The last 2000AD Sci-Fi Special (as its summer edition was titled) appeared in 1996 apparently. However, this week it made its return to newsagents across the UK with a brand new edition. Summer Specials often featured their regular characters plus extras. This year's 2000AD Sci-Fi Special has a couple of twists. 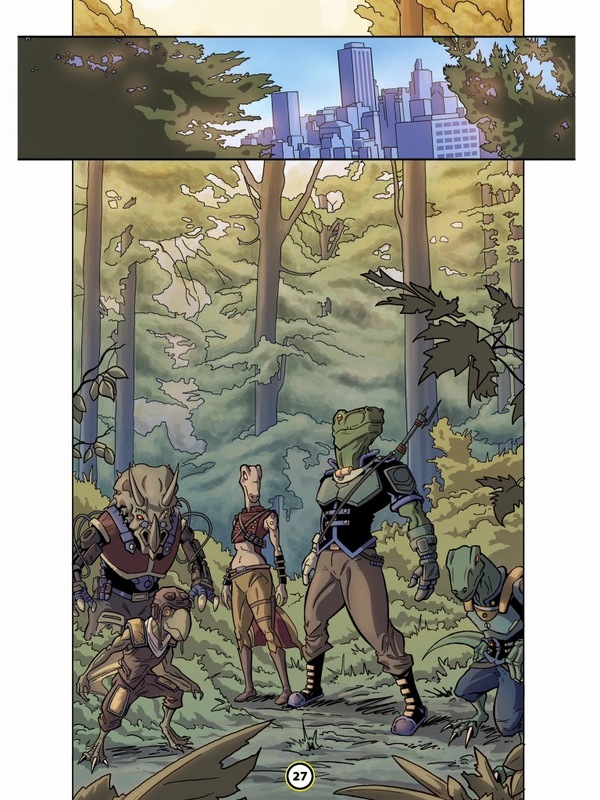 Firstly, it brings back three old characters (Rogue Trooper, Robo-Hunter, and Durham Red) and secondly the contributors are newcomers (or "my latest consignment of script and art droids" as editor Tharg refers to them). A very nice job they do too. 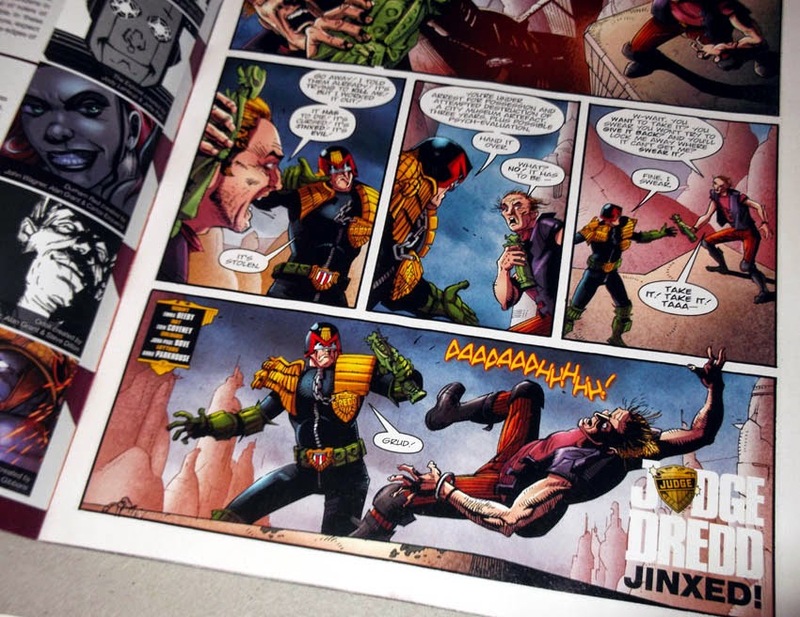 There's also a Judge Dredd story of course, plus a strip starring Orlok, Agent of East-Meg One, and a Future Shock. Again, by new contributors. And a couple of pin-ups, or 'Star Scans' as 2000AD calls them. Six all-new stories, no reprint, in a packed 52 page summer special for £3.50. On sale from now until 6th August. Ideal reading matter on the sands before the Punch and Judy Show starts or to read in your guest house if it's raining. http://electricomics.net/. I wish them all the very best with this new venture. Alan Moore creates digital app. Already known for revolutionising the comic book industry in the 1980s, Moore is pushing boundaries again with Electricomics - an app that is both a comic book and an easy-to-use open source toolkit. Being open source and free, the app has wide potential not just for industry professionals, but also businesses, arts organisations and of course comic fans and creators everywhere. 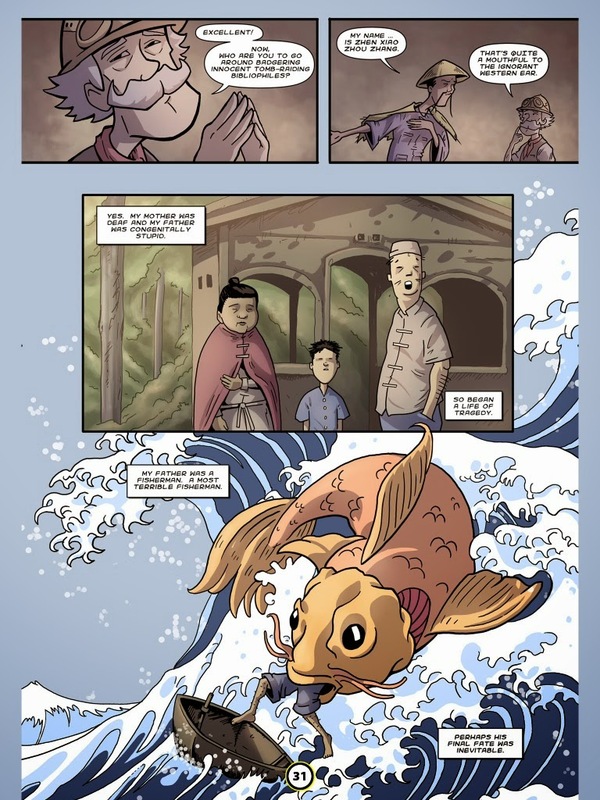 Electricomics will be self published by Moore and long time collaborator Mitch Jenkins as Orphans of the Storm, and funded by the Digital R&D Fund for the Arts. As a publicly funded research and development project, Electricomics will be free to explore the possibilities of the comic medium, without the constraints of the industry. The Digital R&D fund for the Arts is a £7 million fund to support collaboration between organisations with arts projects, technology providers, and researchers. It is a partnership between Arts Council England (www.artscouncil.org.uk), Arts and Humanities Research Council (www.ahrc.ac.uk) and Nesta (www.nesta.org.uk). The second issue of the new British adventure comic Pulse is now available exclusively from the ROK Comics Ultra app for iPad for just 69p! The 32 page digital comic continues the four serials that began in issue 1, which is also still available of course. 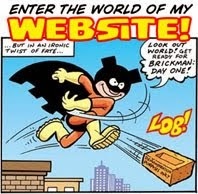 (One of the advantages of digital comics is they never sell out!) So we get the second chapters of Team M.O.B.I.L.E., Dinocorps, Serpent Wars, and Endangered Weapon B. All stories are suitable for all ages. Although Pulse is one of the closest things we have to a traditional British adventure comic, I feel that the art styles perhaps owe more to television animation. The strips remind me more of the look of The Real Ghostbusters and the X-Men cartoon series than the heavier art styles of The Steel Claw or Johnny Red for example. That's not a criticism. Styles change and comics have to reflect that. 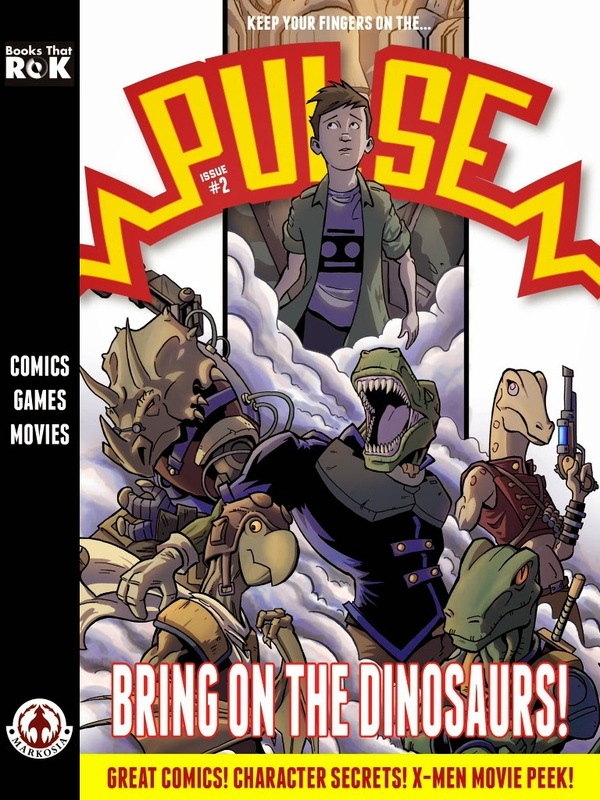 Pulse is trying to bring in younger readers so using a lighter style of line, with colour for texture and depth, is something today's kids would be familiar with. The sensational promotional art above is by Alex Ronald and I understand it will be used as a 2000AD cover when the series begins. 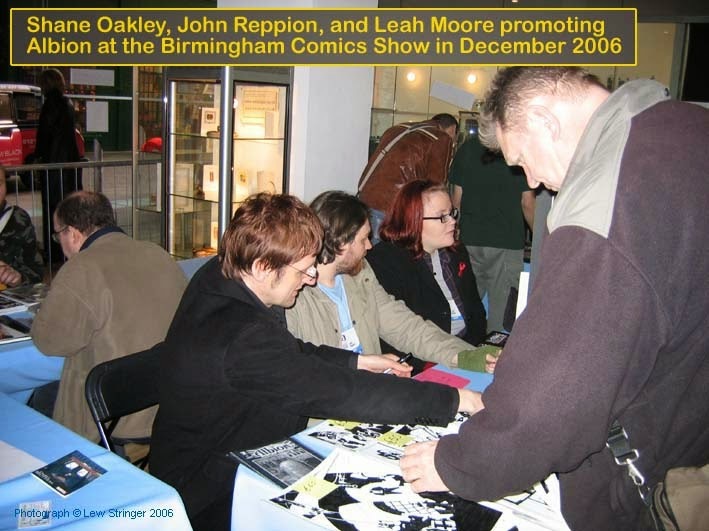 I've always liked the comics of Moore and Reppion that I've read. Wild Girl, the mini series they did with artist Shaun McManus, is well worth seeking out if you've never seen it. 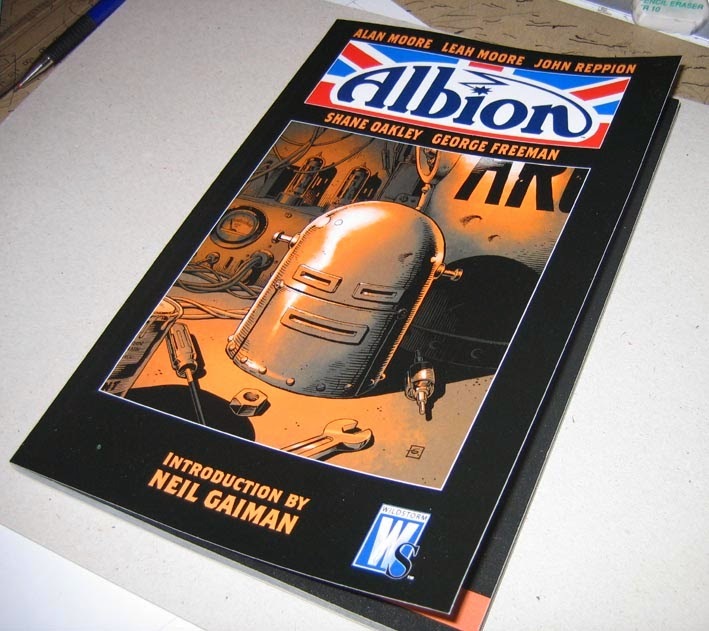 Likewise, Albion, based on a plot by Leah's father Alan Moore, with art by Shane Oakley, is also worth reading. In case you didn't know, Albion is a graphic novel that revives classic Fleetway and Odhams characters such as Robot Archie, The Steel Claw, Kelly's Eye, Bad Penny, and many more in an inclusive continuity. 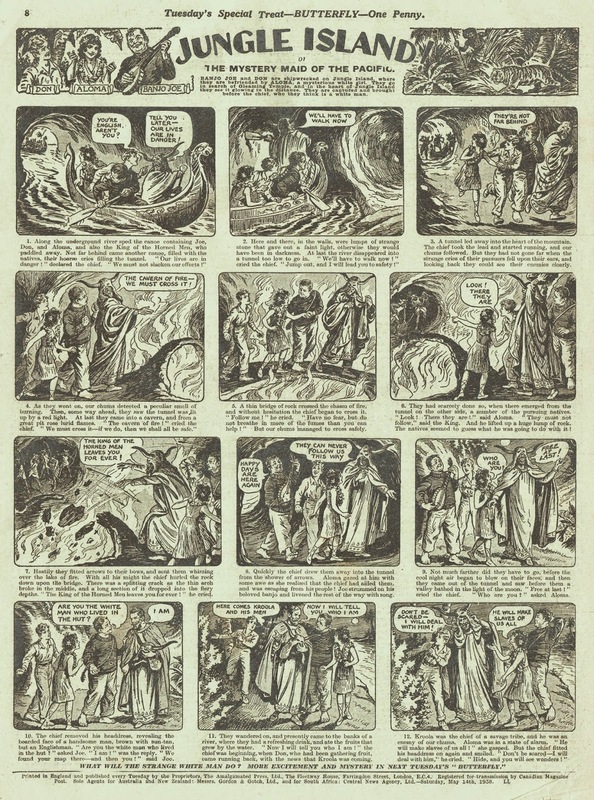 I recently read something that was critical of the writers because they were not familiar with the old strips before they researched them for Albion. 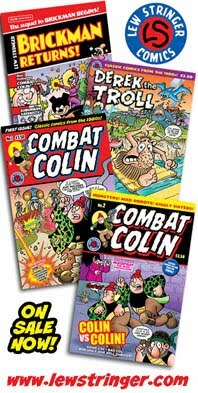 I thought the critique was a little unfair, because it seems to me that those old UK characters were quite one-dimensional, so it wouldn't require many back issues to get to grips with the basics. 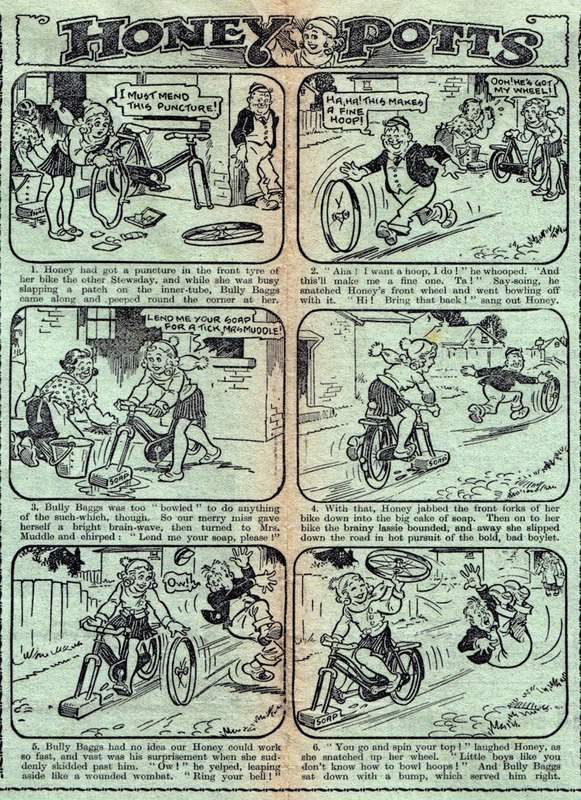 The beauty of those old comics is that they were written to be accessible to new readers, with basic gimmick characters and plots that could be immediately understood by children. It's not necessary to have grown up with those strips for today's writers to grasp their concepts from a few issues. Besides, Albion is a dark modern spin on the characters, with a different tone to Valiant or Lion. Click to see images larger. 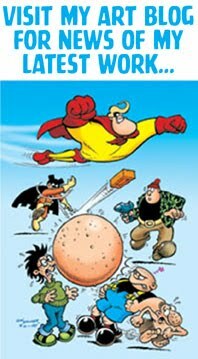 Over on the unofficial Beano fan forum an anonymous source has posted advance cover images of three upcoming DC Thomson annuals. The images are low resolution but even so, the covers look great! Ken Harrison's lively Dandy Annual 2015 cover shows a host of classic characters whilst Nigel Parkinson's Beano Annual 2015 cover displays his fantastic skills as an artist. (Just look at the perspective and detail in that railway station roof.) Both covers have a really nice uplifting sense of carefree joy about them. I was sorry to hear of the passing of former DC Thomson editor David Torrie last week. 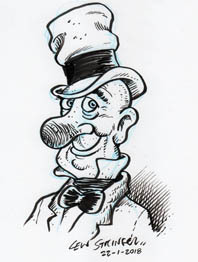 Mr.Torrie worked for the company from 1961 to 2006, editing a number of comics including The Dandy in the early 1980s, the Fun-Size editions of Beano and Dandy, and serving as the first editor of Classics from the Comics. He gave artists such as Nigel Parkinson their first work on The Dandy and is affectionately remembered by those who worked with him. My condolences to Mr.Torrie's family and friends for their loss. 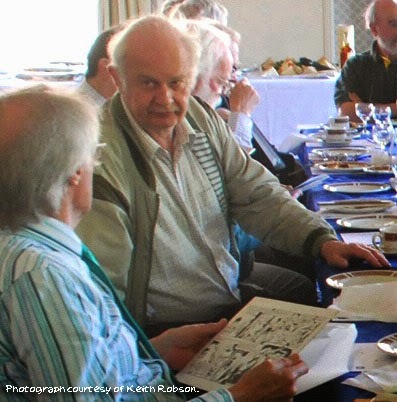 The photograph above shows David Torrie at a DC Thomson get-together in 2010 talking to Minnie the Minx artist Jim Petrie. My thanks to artist Keith Robson for sending it to me. There is shock and sadness in the British comics community this week as we have learned of the passing of Vanessa Morgan, editor and publisher. Vanessa was a key figure in the Society of Strip Illustration (SSI) in the 1980s, and will also be familiar to comic fans back then as the editor of Egmont's The Superheroes Monthly, a 52 page black and white comic reprinting classic DC strips. 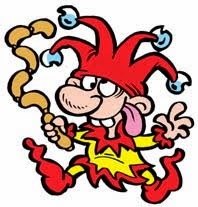 I didn't know Vanessa very well but I remember her being very much a part of the regular crowd in the 80s/90s at the Westminster Marts and the annual UK Comic Art Conventions in London. She was a witty, intelligent person who was good company and well liked. John Freeman has a more thorough tribute to her over on his Down The Tubes website, with a heartfelt contribution from writer Peter Hogan, a good friend of Vanessa. Click here to visit the page. My sincere condolences to Vanessa's family and friends at this very sad time. 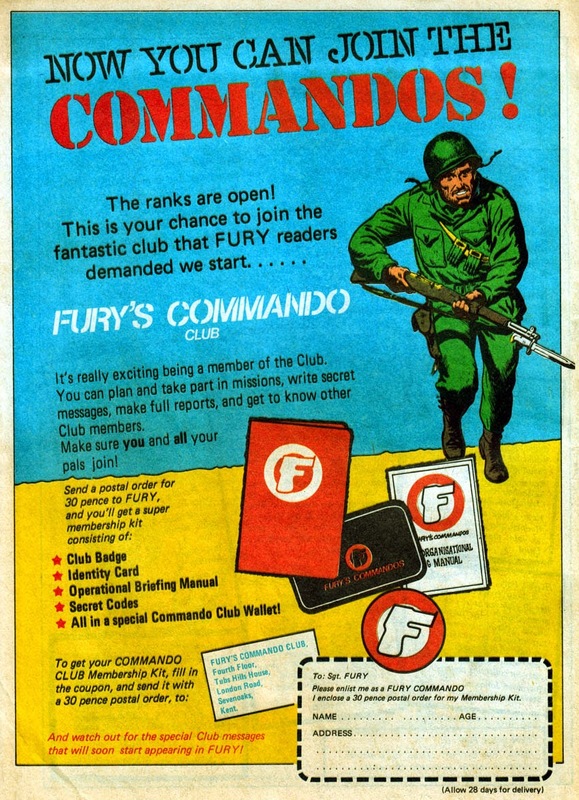 Thanks to Commando HQ at DC Thomson for sending the info and images. Corporal “Spider” Mackay, the Convict Commandos’ replacement safe-cracker could be a handy man in a fight. Fearless and with a ruthless streak that struck fear into his enemies, he had yet to be bested. This time, though, he’d been too hasty in his pursuit of a scrap and had got himself trapped in an intercontinental rocket with a monster high-explosive warhead under his seat. And in case you hadn’t guessed, the rocket’s target was America. Was there any way out for Spider? Sergeant Gareth Owen’s sniper’s rifle was a short magazine Lee-Enfield No. 3 Mark 1(T), fitted with a Pattern 18 telescopic sight of X3 magnification. 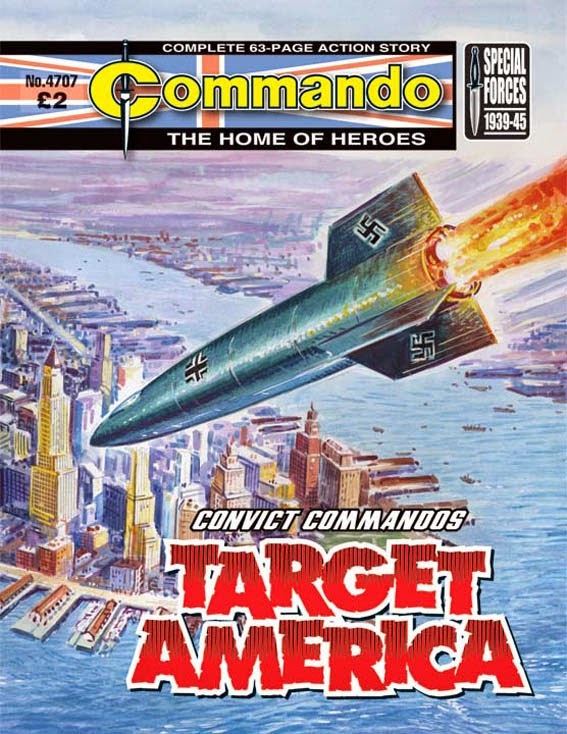 If I told you the original working title of this story, you'll realise just how far ahead of the game the early Commando scriptwriters, like Eric Hebden, actually were. Lurking underneath Ken Barr's fantastic two-for-the-price-of-one cover (a full-colour illustration and a two-tone red and black one) is a tale of a man with the stain of shame on his character. An unjustified mark, perhaps, but it's there all the same. The story follows him and some of the disparate characters who make up a Commando team, beautifully rendered by Senor Cortes whose black and white work verges on the "film noir" with his fantastic shadow lighting. What was the working title, you ask? Band Of Brothers! Was that really a marauding Viking longship cutting through the waves alongside a sleek German E-Boat? Had some strange time machine brought them together? No. It was all for a propaganda film being made in Nazi-Occupied Denmark in 1942. The Nazis wished to emphasise that their creed was akin to the wild Viking spirit shown by the legendary Berserker, Ragnar The Red. However, all was not well — strange accidents started to happen all around as the film’s premiere approached. But it couldn’t have anything to do with Ragnar, could it? The French village church lay bathed in the rays of a watery moon. The pale light threw black, gloomy shadows which hid the stealthy forms of two British soldiers grimly inching their way up to the roof. One slip meant disaster — not only because of the height but because the church was full of Nazis! Here our main character — Bombardier Ted Marchmont — goes on an interesting dramatic journey; one that most fictional characters should go on in some shape or form. Apart from looking out for his mate, Gunner Tug Wilson, Ted seems to have few redeeming qualities — being arrogant, cynical, war-weary and clashing with his father, a high-ranking (and despairing) military career man. 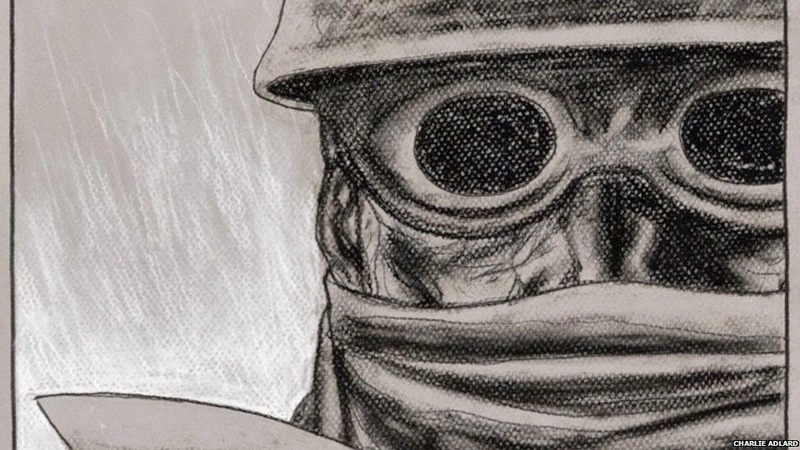 So, when embroiled in a siege against the attacking Germans, will our anti-hero become a true Commando hero? Join Ted on his journey and find out. But you’d better be quick. The clock is still ticking. 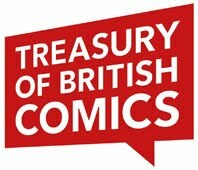 There's an interesting discussion over at the Comics UK Forum at present regarding the storing of comics. Bag and board, or piled in a box? Personally, although I have my 1960s/70s American comics stored upright in a few longboxes, only some are bagged. In the case of most of my British comics collection, - most are stored flat, and not bagged. And guess what? The condition of them all has remained ok. 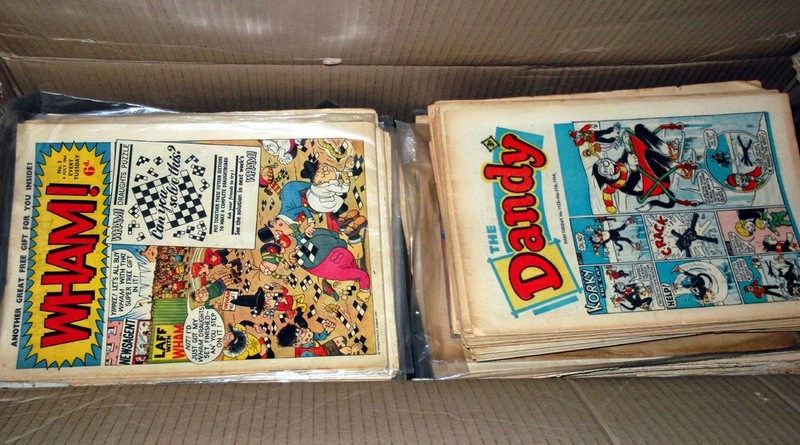 I bought a load of Odhams comics 30 years ago (Wham!, Fantastic, etc) and 1960s Dandy issues and have always kept them stored flat in a tall cardboard box. 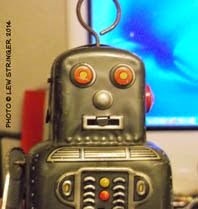 (See photo above.) Some are bagged, if they were like that when I bought them, but most of them are not, and they're in the same shape as the bagged ones, which is pretty good. Yes, I know there's the risk of spine roll if you store comics flat, but not so much if you alternate them so every other issue has the spine on the other side of the pile. 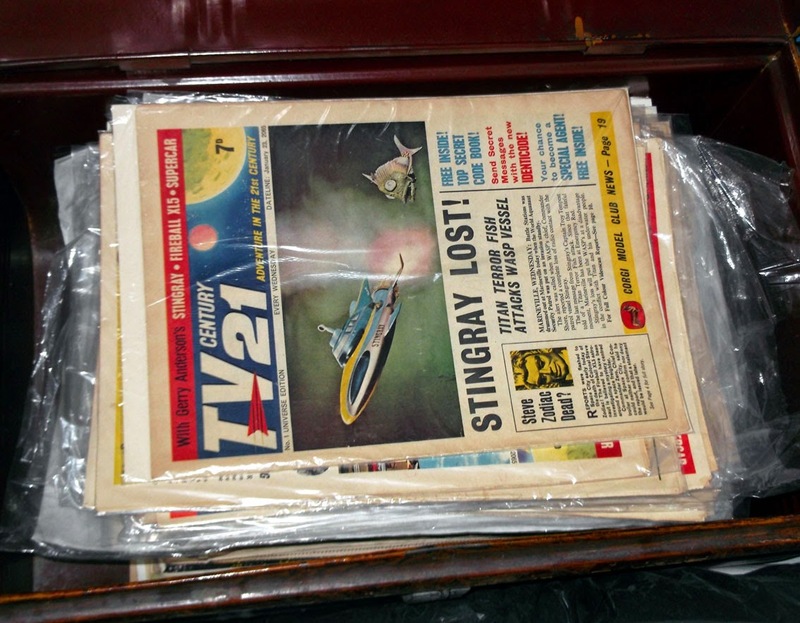 I've stored my TV21 comics in a Victorian metal trunk that once belonged to my grandad and they're ok. Keep comics clean and away from sunlight, dust, insects and damp and they should be alright. And, if necessary, wash your hands before handling them to eliminate any chance of greasy fingerprints. When I was in my twenties I was fastidious about condition and handling my collection very carefully. I'm still naturally careful, but if a comic accidentally flops over and creates a tiny spine crease it's not the end of the world. They still mean a lot to me, for nostalgic and historical reasons, but I'm sure I'll crumble to dust before they do. My attitude now is that although I like to keep comics clean and in good condition, life's too short to go overboard about it. 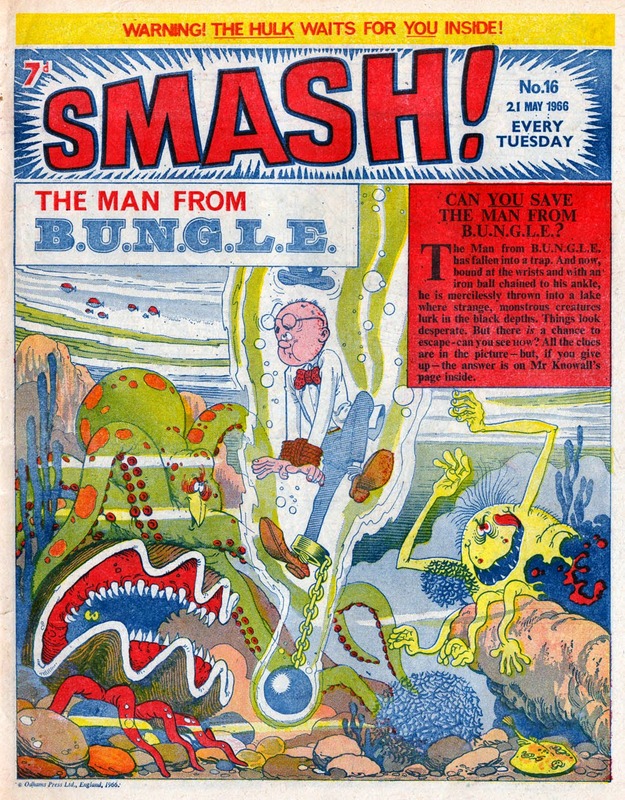 That issue of Smash! I showed here at the weekend? I actually folded a page back to scan it better. 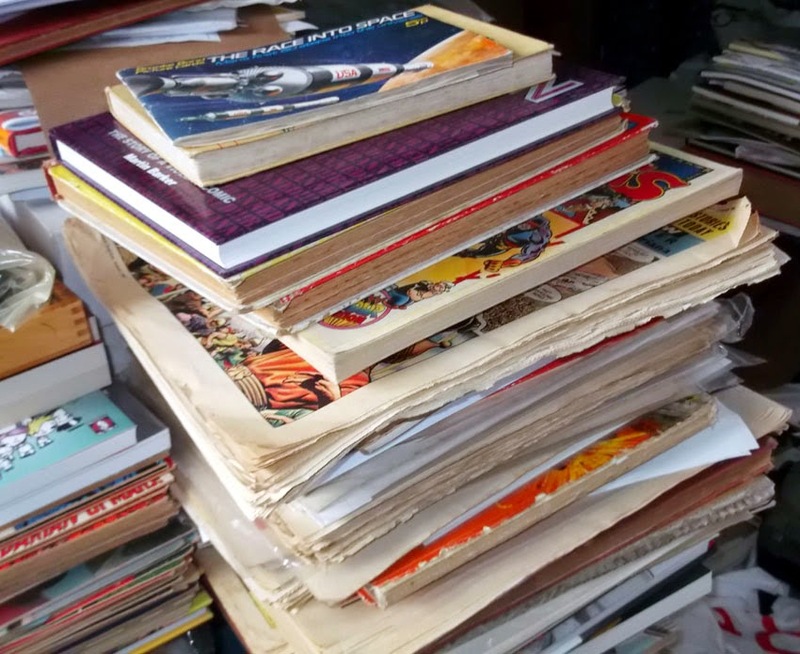 Some comics are still waiting to be sorted out properly, or left around for reference, open to sunlight and stacked in an unkempt pile. Look! There's a 1960 Eagle amongst that lot which I accidentally creased on its corner. Oh the humanity. 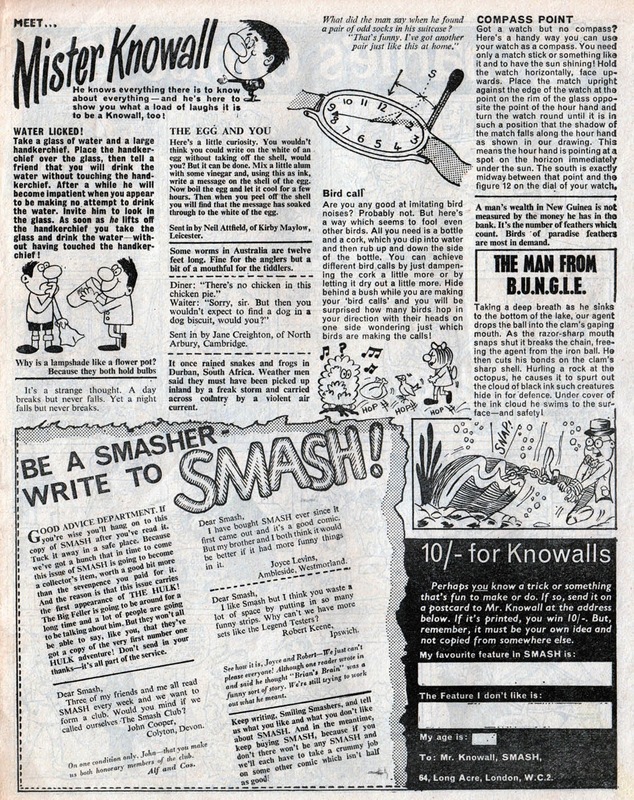 It was 48 years ago today when Odhams Press Ltd. began their association with Marvel Comics by publishing reprints of The Incredible Hulk in the pages of Smash! Yes, I know some sources claim that reprints of The Fantastic Four began in Wham! first, but that's not true. (Trust me. I have the comics. The FF came to Wham! a little later.) It was the issue shown here, Smash! 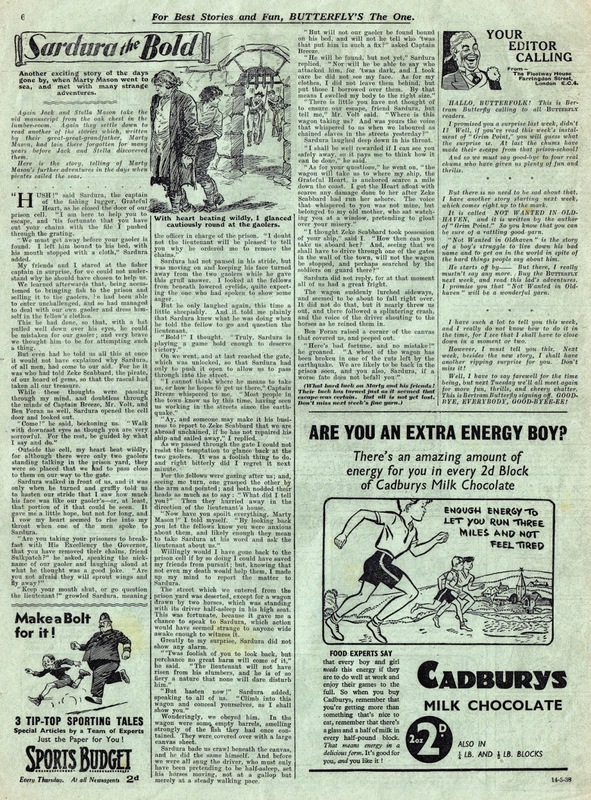 No.16, dated 21st May 1966, that was the first Odhams weekly to feature a Marvel reprint. 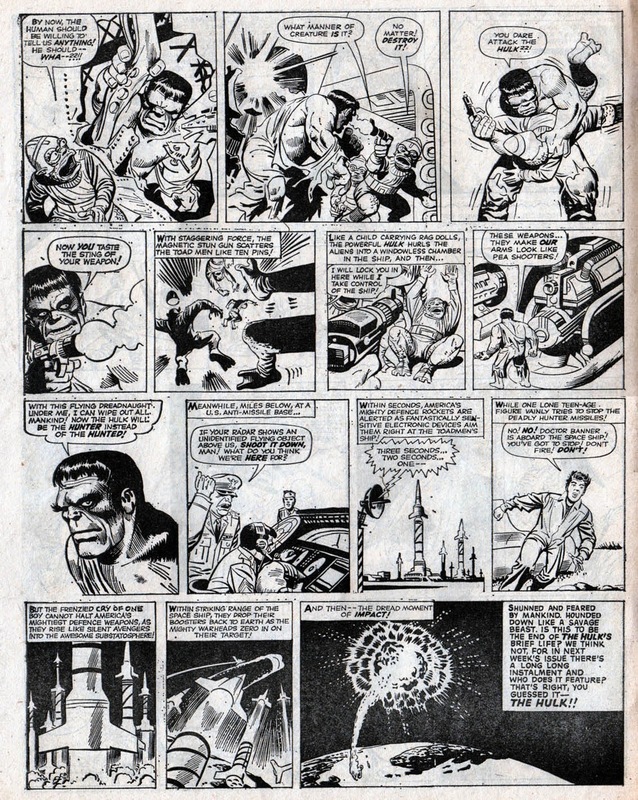 The original Incredible Hulk comics (and his following appearances in Tales to Astonish) had been available in some UK newsagents but distribution was unreliable. The reprints in Smash! were the ideal way to showcase a consecutive run of Hulk stories and, for many of us, were our first discovery of the character. 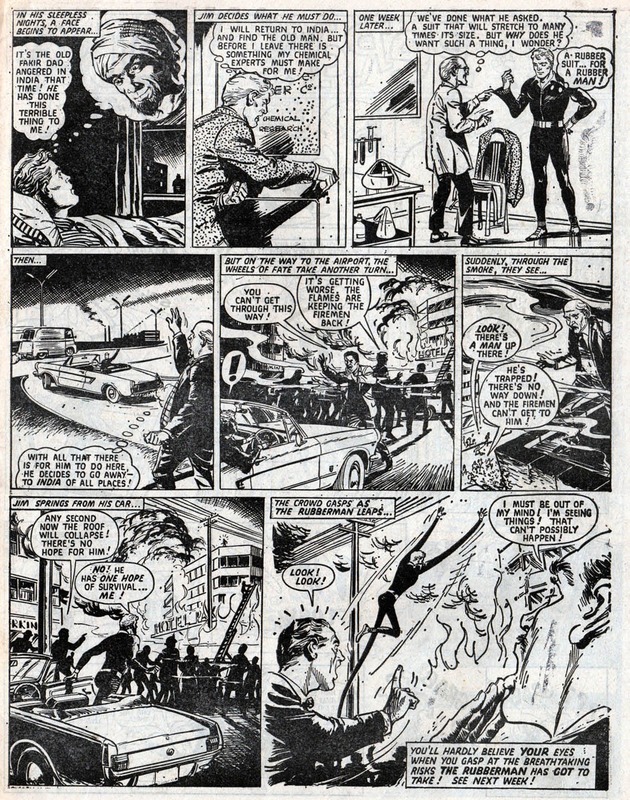 Due to the page size of British comics being considerably bigger than American comics, panels from the Hulk stories were arranged to fit more onto each page. 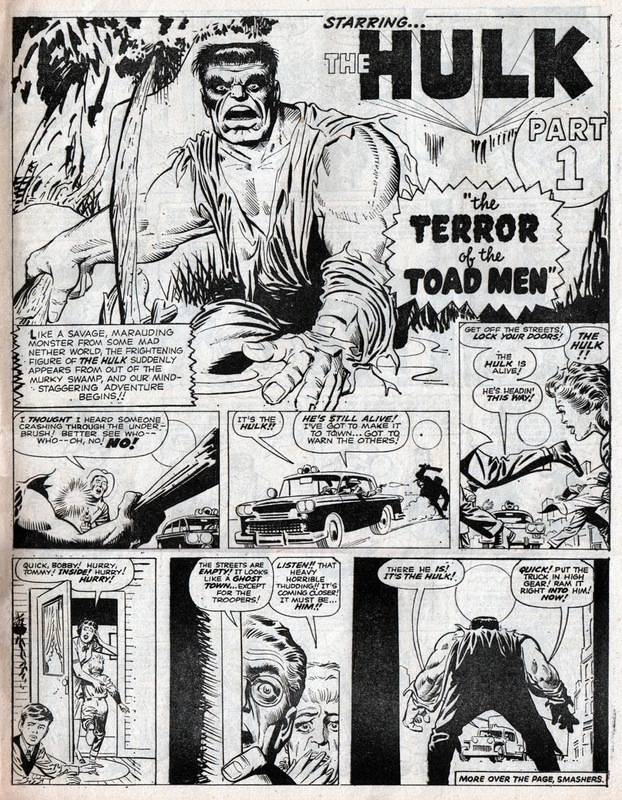 This first appearance of the Hulk ran to six pages in Smash!, - roughly 11 pages of the American comic. What else was in this landmark issue? Well, some excellent new British material, that's what! Let's have a look at a few highlights, starting with the brilliant Man from B.U.N.G.L.E. cover by Brian Lewis at the top of this post. On the back page of this 28 page issue, Grimly Feendish. Artwork by Ron Spencer I think, or perhaps Mike Lacey. 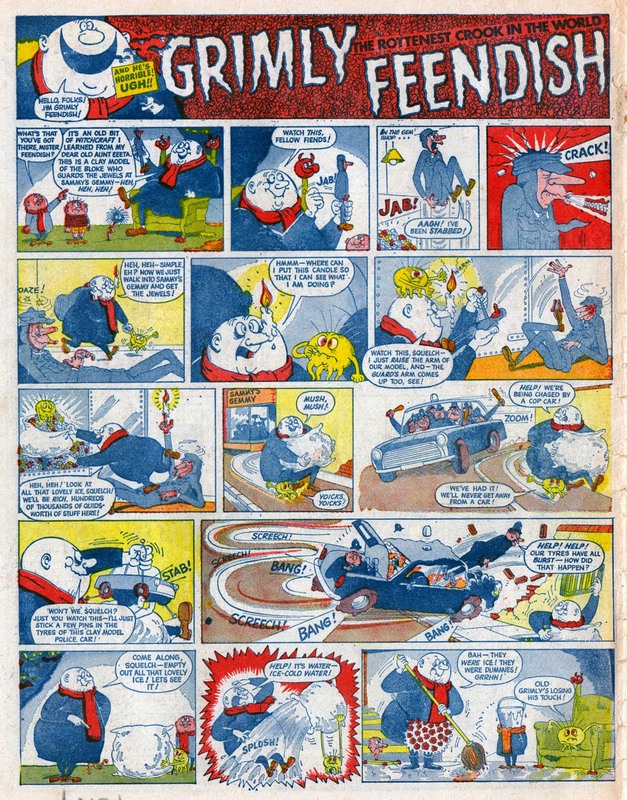 Someone ghosting Leo Baxendale's style anyway (but it's definitely not by Leo). These early issues of Smash! were some of the most entertaining comics of the sixties. 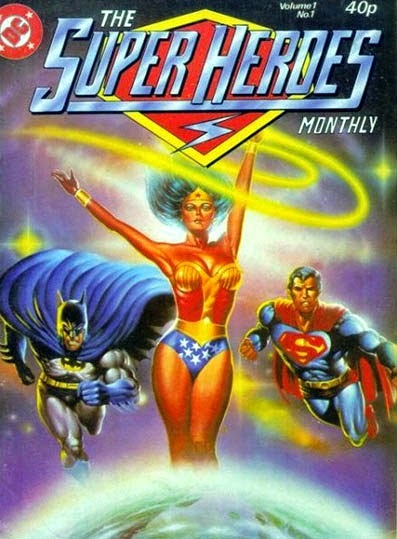 Humour, horror, superheroes... it had the lot! I remember having a few issues of The Hornet and Victor around that time and thinking how mundane and ordinary it seemed in comparison. Admittedly, Smash! 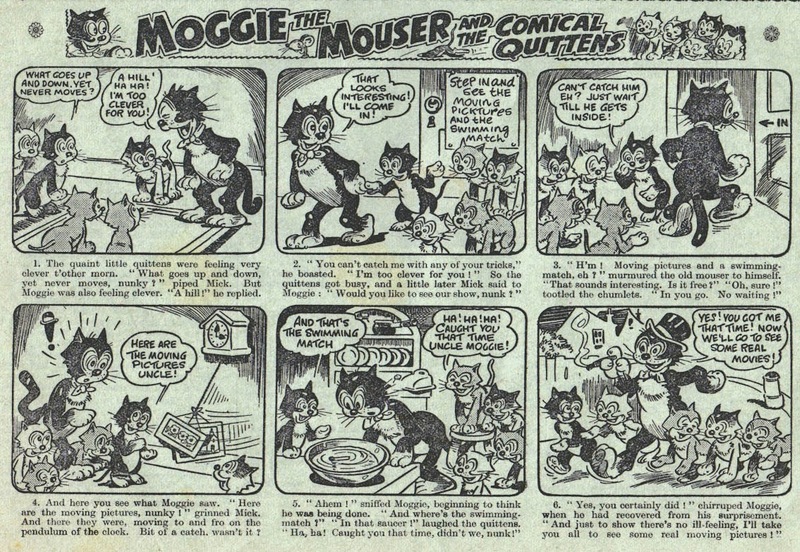 didn't sell as well as many of its rivals, but the more formalised comics have often been the most successful. Smash! had its own identity, as did its stablemates Wham! 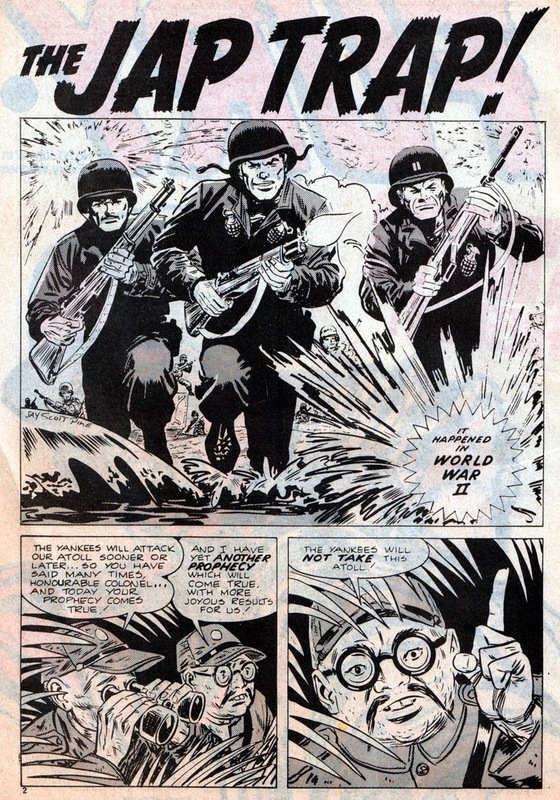 and Pow!, and they captured the mood of the times better than most other comics. Comics such as Valiant and Hotspur were better structured and slicker, but Smash! was cooler. 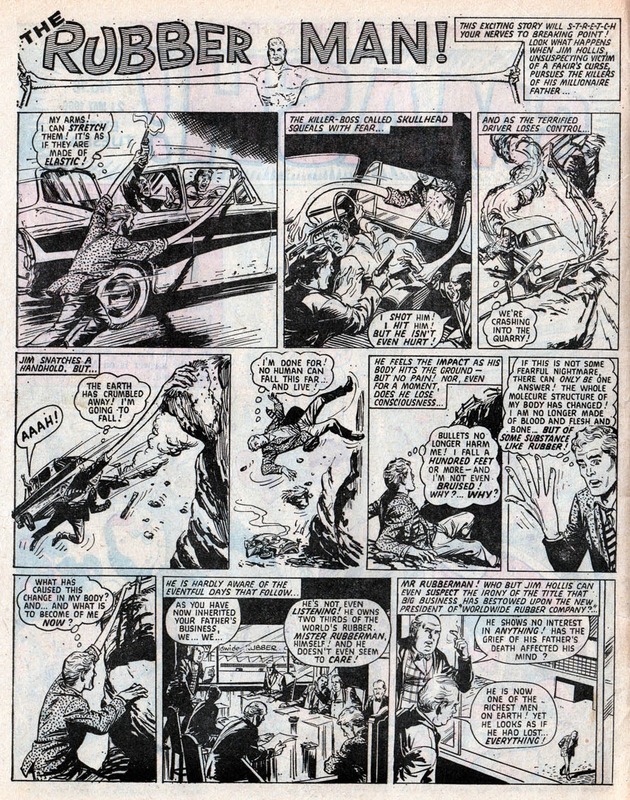 Back in 1977, before the Pet Shop Boys hit the music charts, Neil Tennant was Editor-in-Chief at Marvel UK. 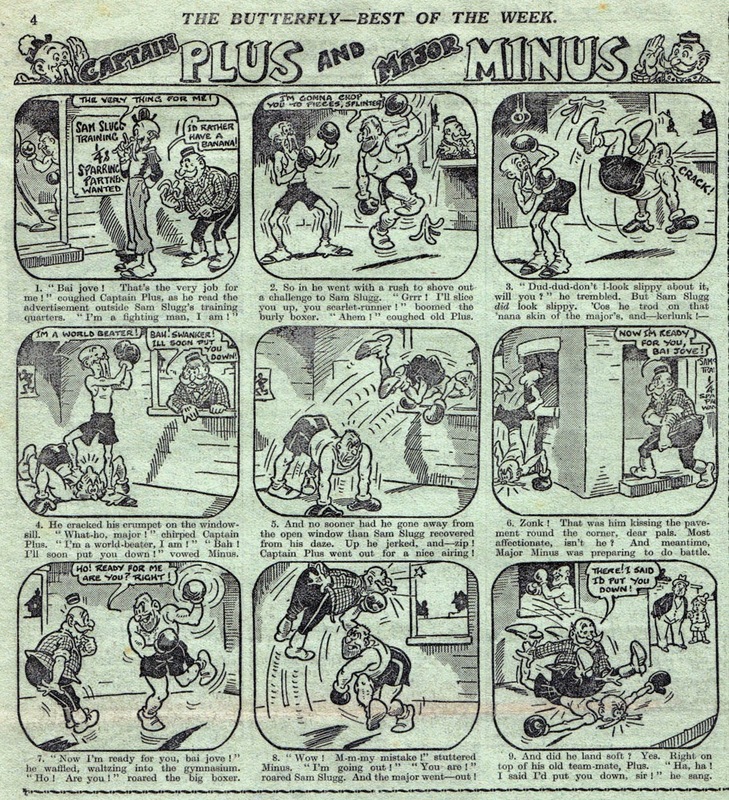 The company was putting out a various number of weekly comics at the time, reprinting Marvel strips from the USA, and basically trying to flood the market to rival IPC and DC Thomson. However, several reprint titles had failed or at least not had the longevity expected of them, and so something different was required. 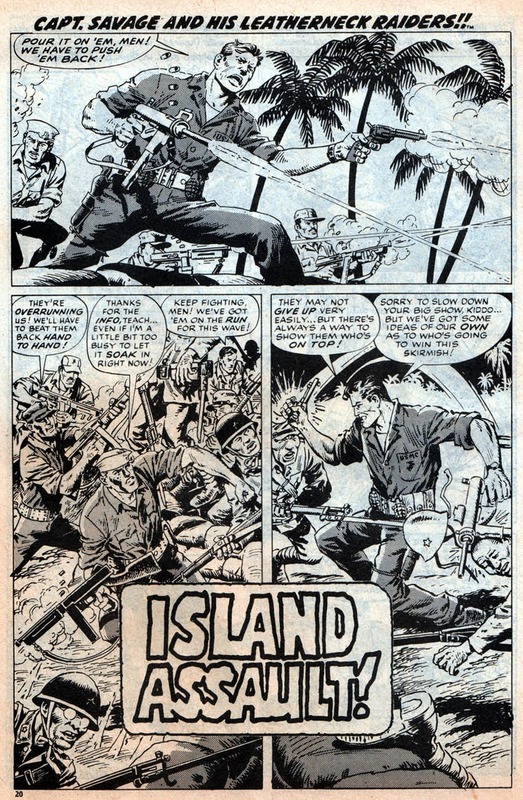 DC Thomson had made a success out of their all-war weekly Warlord, and IPC had followed suit with Battle Picture Weekly, which became another hit. Allegedly Neil Tennant felt that Marvel UK needed a war comic to compete in this area. The result was Fury. The covers of Fury were also similar to the ones Battle had been running. Powerful images with a punchy message. 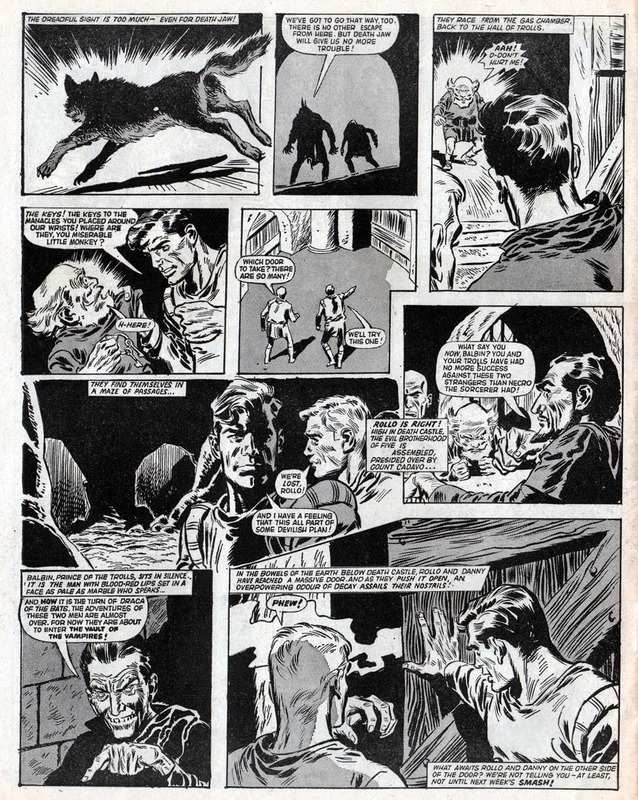 None punchier than the brilliant one shown at the top of this post by Carlos Ezquerra. 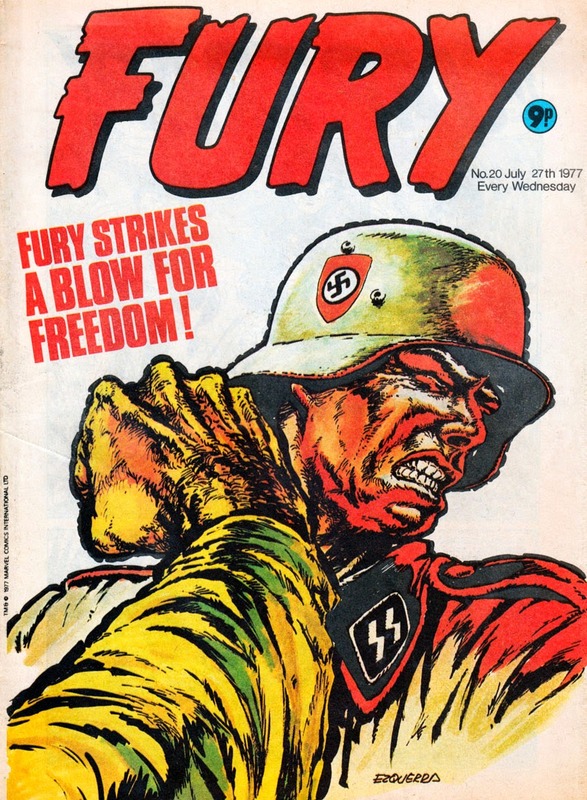 The artist had produced many similarly strong images for Battle's covers so it was quite a coup for Marvel UK to commission him for Fury. 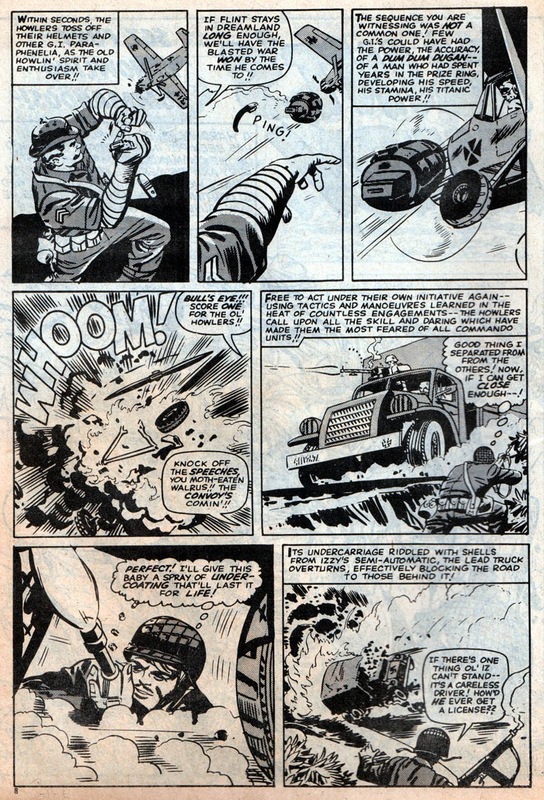 Unfortunately, the company were not given a budget by their American owners to produce British strips so although Fury looked like a traditional UK war comic on the outside, the interiors were a different matter. 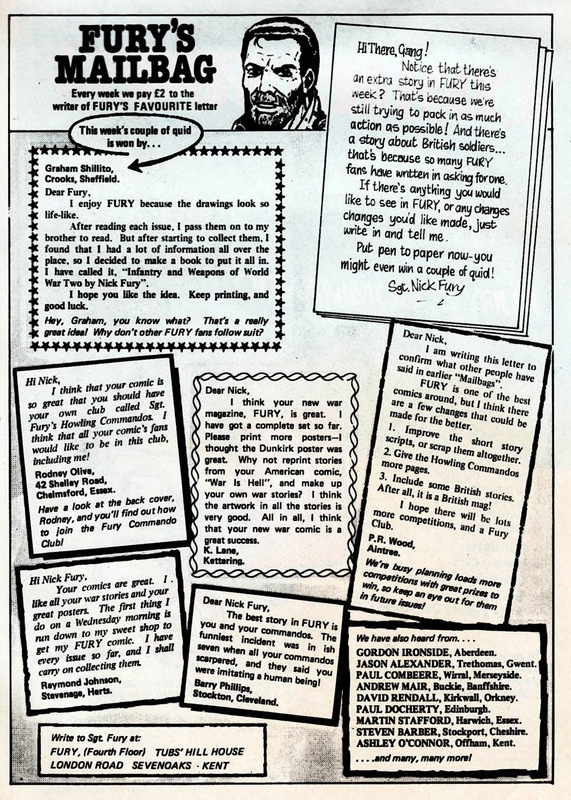 Sadly, Fury failed to attract as many readers as its rivals, probably because the content just wasn't traditional enough. 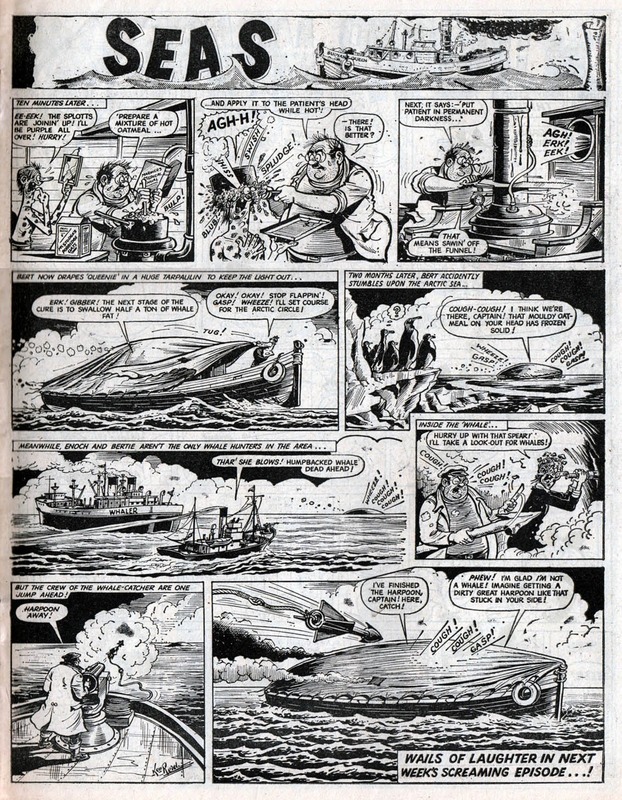 Had Neil Tennant been given free reign to develop a truly British war comic then perhaps it would have lasted longer. As it was, Fury ended after just 25 weeks, merging into The Mighty World of Marvel. Tennant left comics to work for Smash Hits, and a few years later became a huge success in the music industry. 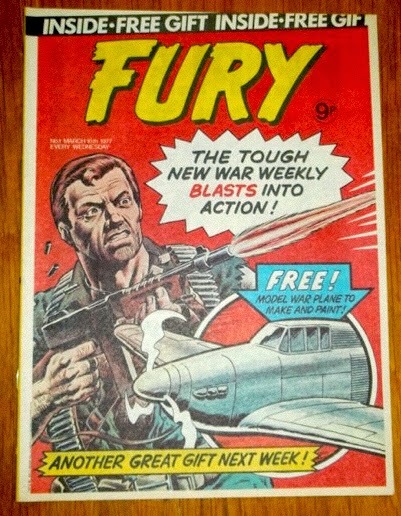 Incidentally, the cover to Fury No.1 was by Dave Gibbons and there's currently a copy for sale from Silver-Acre on eBay if you're quick! Click here! 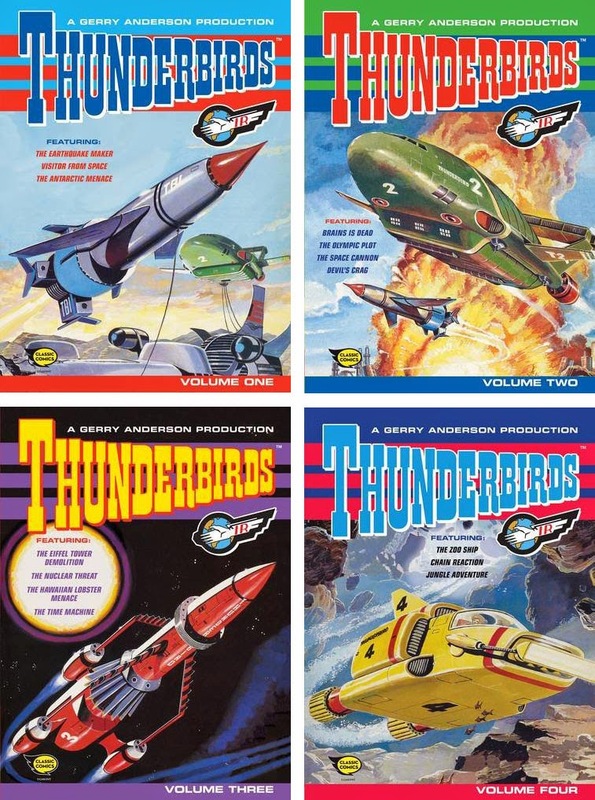 Browsing Amazon the other day I noticed that on August 28th, Egmont UK are scheduled to publish five softback Thunderbirds books reprinting classic stories from 1960s comic TV Century 21 featuring artwork by Frank Bellamy and others. 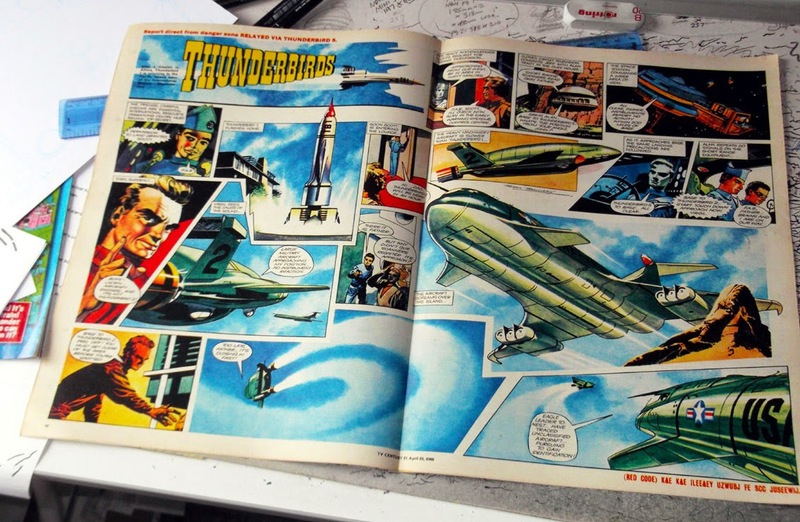 Each 48 page book utilizes cover art that was originally seen on the Thunderbirds the Comic fortnightly in the 1990s. 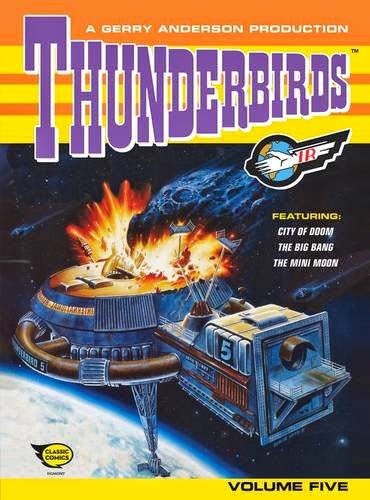 I must admit to being surprised that these stories are being reprinted again so shortly after the Thunderbirds Comic Collection that was published last year, as these books seem to contain the same strips. That hardback is still available, and is actually a cheaper way to obtain the stories. However, it looks like these five softback books will be similar in format to European albums such as Tintin, so perhaps will be more enticing to children (and booksellers).